Issue 6 (July 1997): 10-19. Issue 7 (September 1997): 35-40. Issue 8 (December 1997): 62-67. 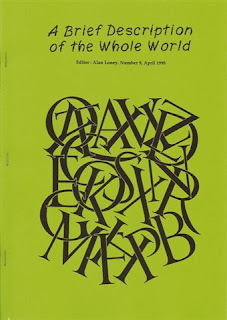 Issue 9 (April 1998): 49-54. Here is material for you, as I indicated I would send. 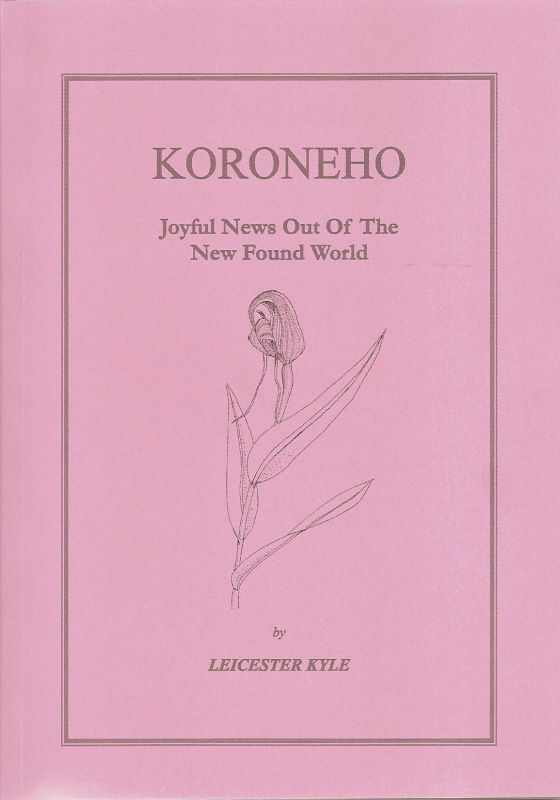 'Koroneho' is an interim draft of the first two of fourteen orchids, as described by William Colenso. The book subtly changes as it proceeds, becoming more complexedly united. It is yours to keep, which is why it's printed on the paper you so envy! P.S. my kind regards to your mother. 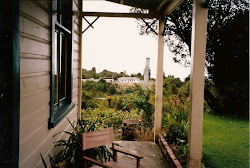 Leicester and Miriel Kyle, Flat 8; 1 Ruapehu St. Mt. Eden, Auckland. New Zealand. ph. 630.9434. 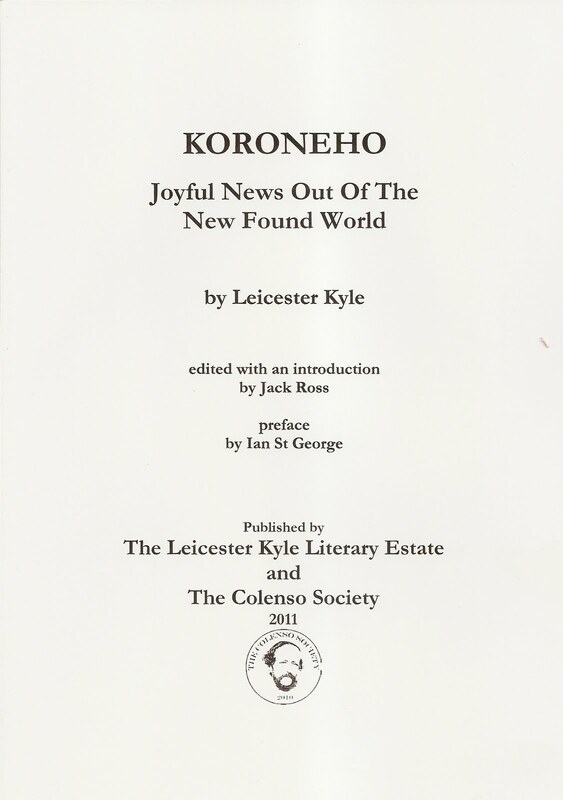 When Leicester Kyle subtitled his long poem Joyful news out of the new found world it was a tribute to William Colenso and his new orchid species. But it was also an allusion to John Frampton’s sixteenth century translation of the Spanish physician Nicolas Monardes’ excited discussion of the medicinal potential of divers new-world plants (as well as that of oils, stones, fur-balls, iron, steel and snow). 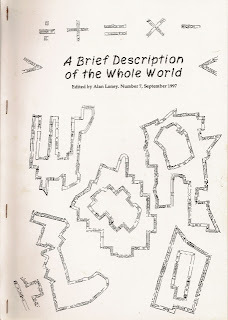 Part 6 in A Brief Description of the Whole World 9 (1998): 49-54. The poem (art) is the flower, Williams was fond of saying, and here Leicester Kyle creates a long poem of fourteen floral cantos in recognition of William Colenso, fellow Englishman, vicar, botanist and writer, basing his imaginative departures on Colenso’s own writing about fourteen new orchids. 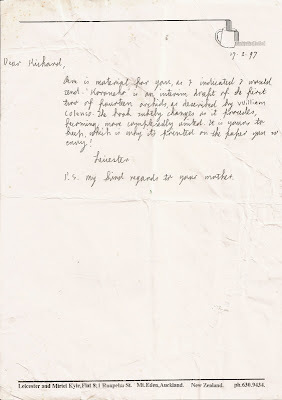 Kyle must have studied Colenso in great depth (he mentions Colenso papers given to his family by Colenso’s descendents), for his knowledge of Colenso’s actions, his sensitivity to Colenso’s motivations and his understanding of Colenso’s feelings suggest more than a little identification with his great predecessor. Mr Kyle becomes Mr Colenso. One of the prettiest fairy-like scenes I ever saw in our New Zealand woods, I have, on more than one occasion, witnessed, when reclining on the grass under the shade of one of these tree-ferns. It was noon, and the summer sun was high, and the view, on looking up through the interlacing overhanging foliage softly waving in the breeze, was truly enchanting, every vein and veinlet being highly translucent ... and then the green of its arched fronds was of such a delicate hue, such a truly sparkling living green without a blemish. The finely-marked ever-changing traceries, and glints and gleams of vertical sun-light peering down through the many myriad veins in that living bower, on those occasions, were far beyond language! 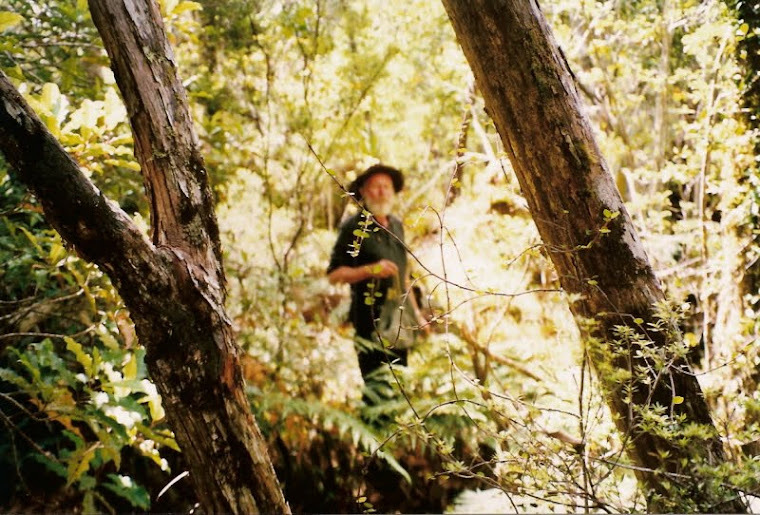 Kyle tells us that Colenso studied not only plants, but fauna too – and twice mentions giant snails – his own Powellephanta mixes with Colenso’s orchids. 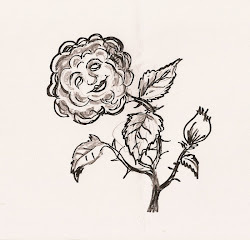 If science explains, art illuminates: it has been said that botanical painting is the purest meeting of art and science, but Leicester Kyle here creates a poem of art and science, truth and beauty: a botanical hymn, and he does it with humour, empathy, and the wiles of a skilled wordsmith. There are minor errors of fact, certainly, and I think he too readily accepts the fashionable view that Colenso was an over enthusiastic amateur, out of his depth in the professional world of botany. His poem is about the truth, not the facts. 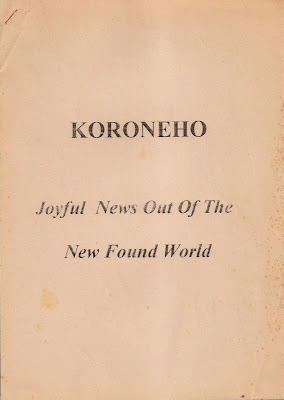 Koroneho: Joyful News out of the New Found World, the Rev. 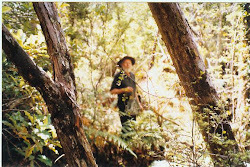 Leicester Kyle’s book-length poem about the life and work of missionary, printer, and pioneering Botanist William Colenso (1811-1899) was written in the mid-1990s – after Leicester’s retirement from the church, but before his move to Millerton, on the West Coast of the South Island, where most of his best-known poetry was written. 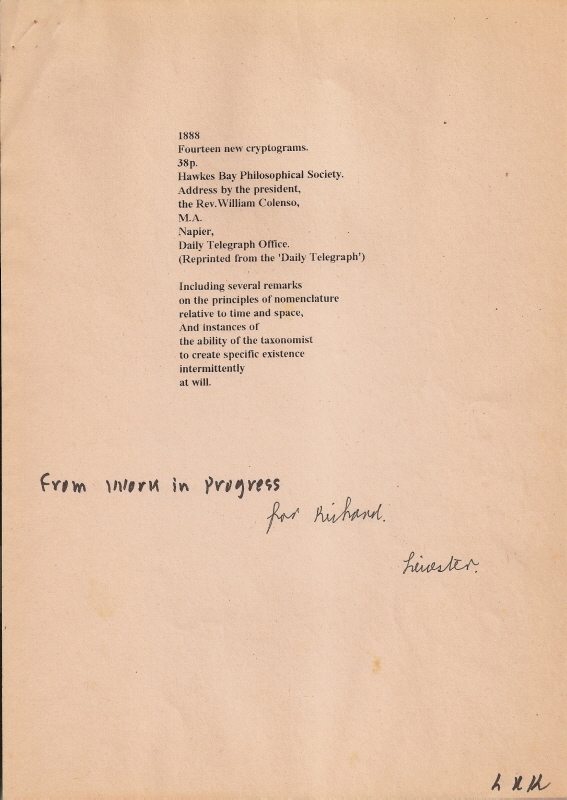 The poem was therefore composed at a comparatively early stage of his poetic development, when he was still under the spell of American Modernist poets such as Ezra Pound, William Carlos Williams and Louis Zukofksy, the latter of whose austere 80 Flowers (1978) clearly had a strong influence on it. 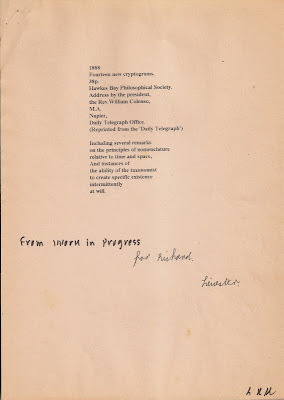 Leicester was also encouraged in his work by Auckland poet Richard Taylor, whose interest in L=A=N=G=U=A=G=E School poetics was also a potent part of the mix (the only surviving typescript of the whole poem comes, in fact, from Richard Taylor’s private collection). 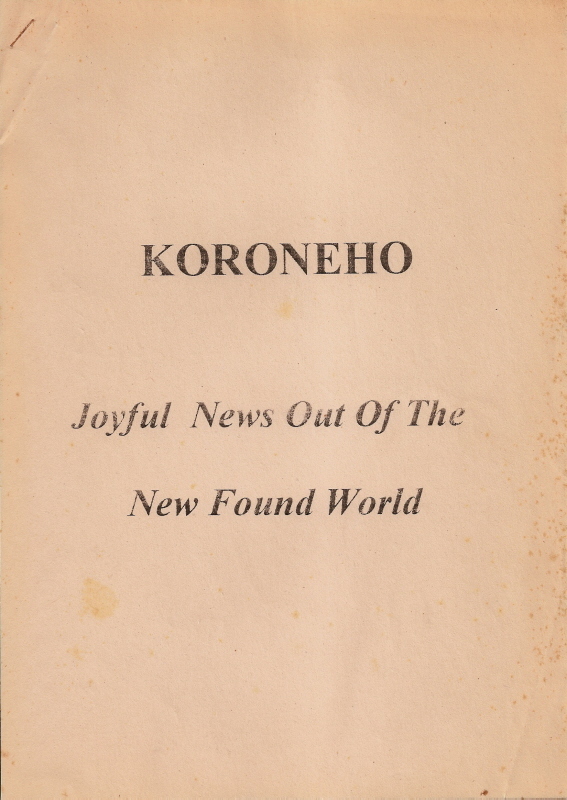 The third significant influence on the progress of Koroneho was the decision of poet and printer Alan Loney to start printing its various parts as a running serial in his avant-garde poetry journal A Brief Description of the Whole World between 1997 and 1998. 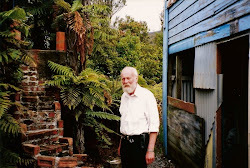 Unfortunately Loney was only able to include 4 of its eventual 14 parts in his magazine before it went into a temporary sabbatical on his departure from Auckland for Melbourne in 1999. When A Brief Description was revived a year later by John Geraets, Leicester (and Leicester’s poetry) had moved on, and he seems to have no longer wanted to publish the rest of the poem in this way. 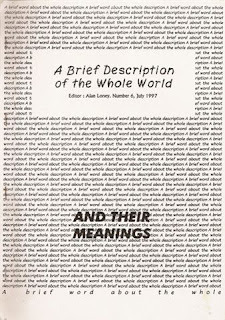 Alan Loney made a further proposal to print the poem as a whole sometime in 2001, but this arrangement seems to have fallen through shortly afterwards. There matters remained until Leicester’s death in 2006. He’d written a great deal in his last seven years on the West Coast, and the last thing on his mind (as he remarked to me at the time) was this rather strange early poem, quite out of harmony with the more colloquial and accessible style of his later years. When David Howard and I, as Leicester’s literary executors, decided to try and publish as much as possible of his posthumous work, we came to the conclusion fairly early on that the most practical way to approach the task was through an online edition. 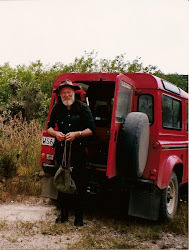 The internet edition of Leicester Kyle’s Collected Poems was accordingly launched on July 4, 2011 , the fifth anniversary of his death. 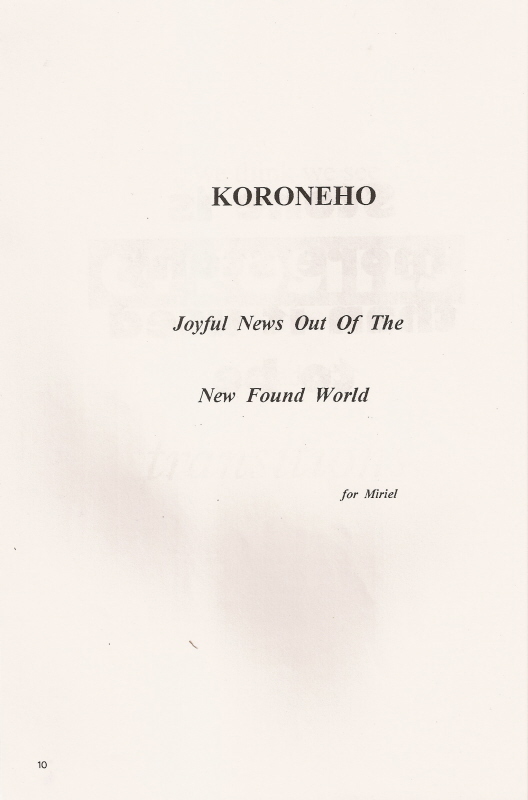 Though a great deal remains to be done on it at the time of writing, I’m pleased to say that one of the first poems we were able to publish in this form was Koroneho, a complete electronic edition with variants from the typescript and manuscript remains. David and I had always intended, of course, to supplement this website with further print publications, and I was therefore very pleased to be asked by Ian St George, Convenor of the Colenso Society, for permission to issue a limited edition of this, Leicester’s most extensive botanically inspired poem. 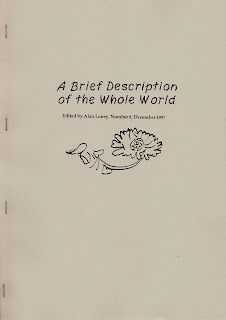 Biographical details of Colenso were supplied by Leicester himself for the foreword to the Brief Description printing of the poem (p.12), and certain reflections on its methodology can be found in his 2001 Afterword (composed for Alan Loney’s proposed book-length version). In brief, the poem’s 14 sections correspond to 14 orchids identified and described by Colenso in the pages of the Transactions of the N. Z. Institute during the 1880s (as described on p.13). Several of these particular identifications have been confirmed by recent researchers, though none by Colenso’s (or Kyle’s) contemporaries, and it was the “mythic” or non-existent character of these 14 flowers which appears to have fascinated Leicester, and to have provided him with a vehicle for his speculations and recreations of the life and exploits of Colenso (known by the Maori as “Koroneho” or “Koreneho”). With a few (slight) exceptions, each section of the poem is in 6 parts: it begins 1/ with a transcription of Colenso’s original description of the orchid, then moves on (with increasing imaginative content) 2/ to Field Notes, thence to 3/ Hab. 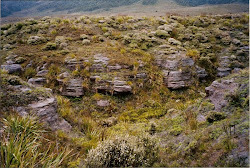 (Habitat), then 4/ Obs. (Observations), then 5/ Glossary, and then to a poem using the orchid’s full names (both popular and scientific). Don’t be put off, then, if little in the poem seems familiar to you at first glance. 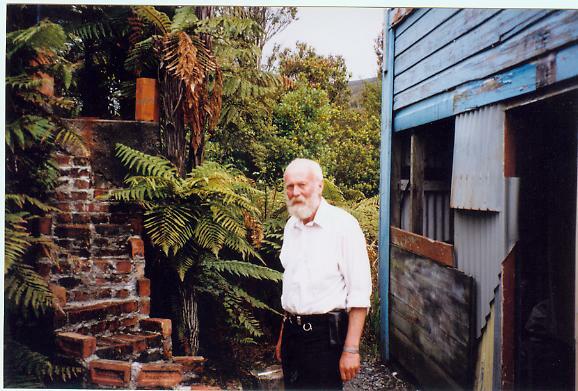 If there’s any precedent for this kind of long “poem containing history” (to quote Ezra Pound’s description of The Cantos) in New Zealand writing, it might lie in Kendrick Smithyman’s posthumous epic Atua Wera (1997), which attempts to reconstruct the world of Maori religious leader Papahurihia in a manner analogous to what Leicester Kyle has tried to do with William Colenso. Like all good epics, Leicester’s poem tells a story, and perhaps that’s the first thing a reader should expect from it. More than that, though, it sets out to reconstruct the atmosphere of intellectual ferment caused by any “New Found World.” It’s perhaps no accident that Kyle’s Koroneho at times resembles Milton’s Adam (in Paradise Lost) naming the beasts. In reprinting the poem, I’ve tried to keep as closely as possible to the typographic and spacing conventions adopted by Leicester in his own publication of parts 1, 2, 4 and 6. I’ve resisted the temptation to standardise his use of titles and capitals (though a little rearrangement has been necessitated by the demands of reformatting his poem in a different typeface). where I’ve adopted a far more exact and literal approach. My intention here, by contrast, has been to provide as convenient and accessible a reading text as possible. Thanks to my fellow-literary executor David Howard, for encouraging this and other Kylean projects over the past five years of our stewardship; thanks also to Ian St. George, editor of eColenso, the newsletter of the Colenso Society (as well as of the NZ Native Orchid Journal) for his initiative in suggesting this first book publication of one of Leicester Kyle’s major poems. 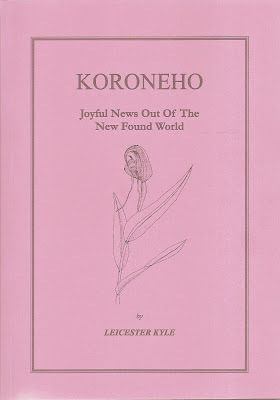 Leicester Kyle’s Koroneho is an epic poem about botany. Taking as his subject matter the life and explorations of pioneer missionary, printer, and naturalist William Colenso (1811-1899) – whose Māori name was “Koroneho” – Kyle expertly weaves letters, historical details, and the language of botanical description into a strangely compelling mixture (a little like that other long Modernist poem “containing history”: Ezra Pound’s Cantos). ... in an edition which does not set out to be a definitive record of all MS. variants, it is best to give precedence to the reader's convenience. Tennyson used to write out whole stanzas without punctuation, but there is nothing sacred in the practice or in his occasional misspellings,. Though he himself did not stumble through his draft, a modern reader would. - Christopher Ricks, ed. Tennyson: A Selected Edition. Longman Annotated English Poets. 1969. Rev. 1987. Selected Edition. 1989 (Edinburgh Gate, Harlow: Pearson Education Limited, 2007): p.xvii. 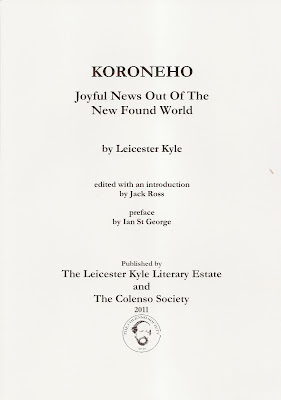 I'm glad to have the precedent of Christopher Ricks, one of the most eminent poetry editors active today, for my decision to "give precedence to the reader's convenience" in both my online and print editions of Leicester Kyle's botanical (and biographical) verse epic Koroneho. The layout of the poem is unusual, involving eccentric uses of typography and language, which requires a certain amount of ingenuity on the part of the editor. For example, each of the fourteen sections of the poem begins with a botanical description of an orchid, quoted exactly from an article by William Colenso, and couched in extremely technical terminology. The succeeding pages play variations and construct patterns based on this language. Each of them has its own complex layout and form, however. From the first it was apparent, given the resources of the medium, that the online version of the poem should include facsimiles. It was tempting to stop there, with an exact reproduction of each page of Leicester's typescript. The problems of transcription are, however, where an editor's duties really begin. 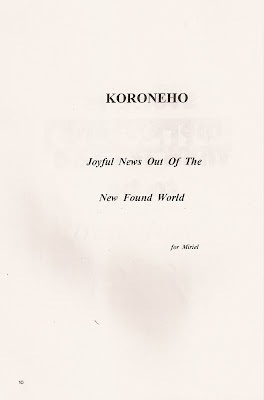 While for most of his other books a diplomatic transcript of one copy-text was sufficient to form a basis for discussion and commentary, in the case of Koroneho the situation is complicated by the fact that, while I had access to one complete typescript of the poem, only four of the fourteen sections had previously appeared in print. My choice, in the facsimile, to reproduce these four sections as they appeared in A Brief Description of the Whole World perhaps requires some defence. 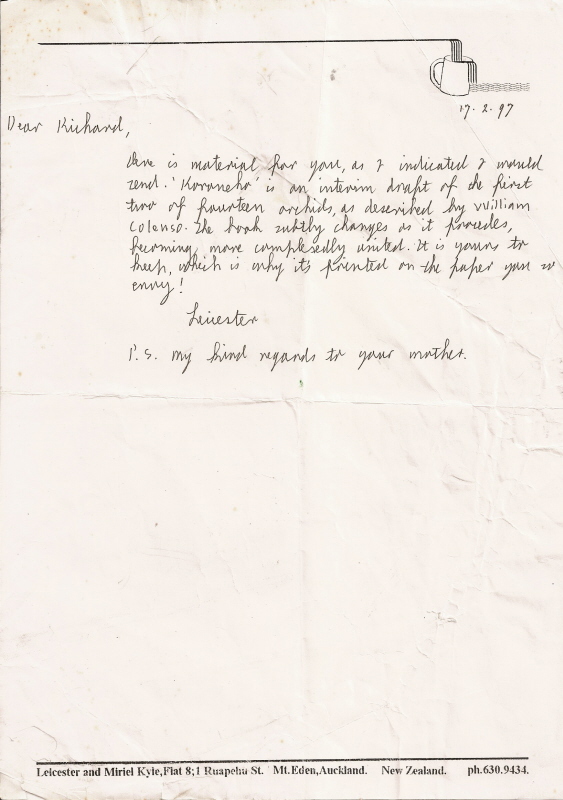 The fact that photocopying technology was used to provide precise copies of the works submitted to the magazine meant that there were no discernible differences between the typescript lent to me by Richard [henceforth Taylor TS.] and the Brief Description pages. Certain additions (titles, page numbers) had been made to the latter, however, which seemed to me to lend them a certain contextual interest. In the textual transcript, by contrast, I confined myself to providing an accurate version of the Taylor TS. Given that this data was already available online, this freed me, in the published edition of the poem, to normalise a good many of Leicester's spacing conventions and characterisitc misspellings ("who's" for "whose", for instance), following here the example of his only other commercial publisher, Calum Gilmour of Polygraphia editions. There is no apparatus criticus, and no record of variants or of silently-corrected misprints. The two texts (online facsimile / transcript and print publication) were from the first intended to complement each other. There's no doubt, though, that simply from the perspective of the "reader's convenience," the book version remains far easier to read.